And so it is that I’m writing this piece of news. Now, you can plug into a wall for electricity! (Wow!) And, you can use USB accessories! And you don’t have to choose! 1. USB for bus-powered accessories. 2. Power (via a second Lightning port) for your iPad. Some USB gadgets will need more power, and of course if you want more than one USB accessory, you’ll want a hub. 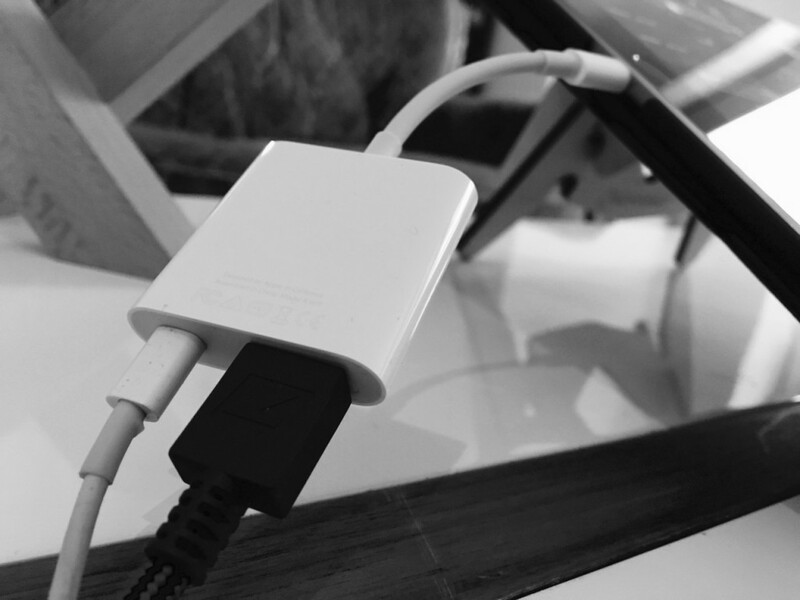 But in the past, even that wasn’t a solution, because the Lightning-to-USB connection blocked the use of that same port for power.